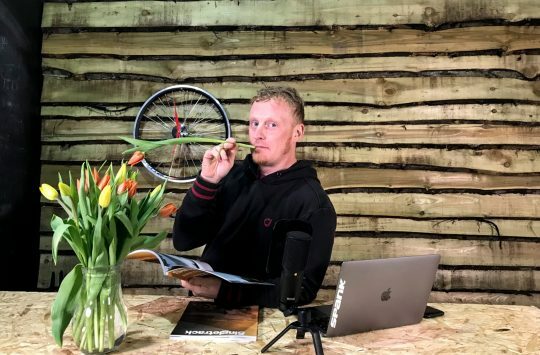 Being taken away by Nukeproof to ride the new Mega was a pretty exciting prospect, and along with the new bike, we were set up to test a load of new kit as well. Along with knee pads, jerseys and socks, sat a neat black box with the Nukeproof logo very smartly spot varnished across the top. 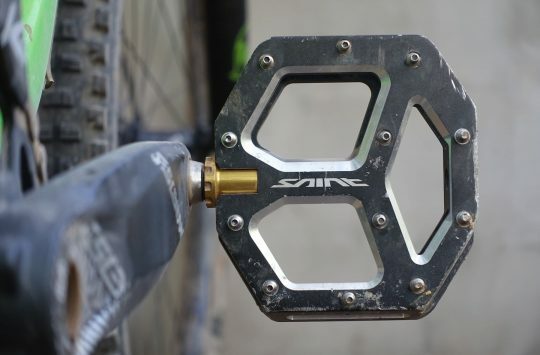 Inside were these little beauties, the Sam Hill Series, Horizon pedals from Nukeproof. Now I’ve always ridden flats, mostly from riding parks and a lot of street as a ‘youth’ so having a shiny new pair to give a hammering is always a good thing. 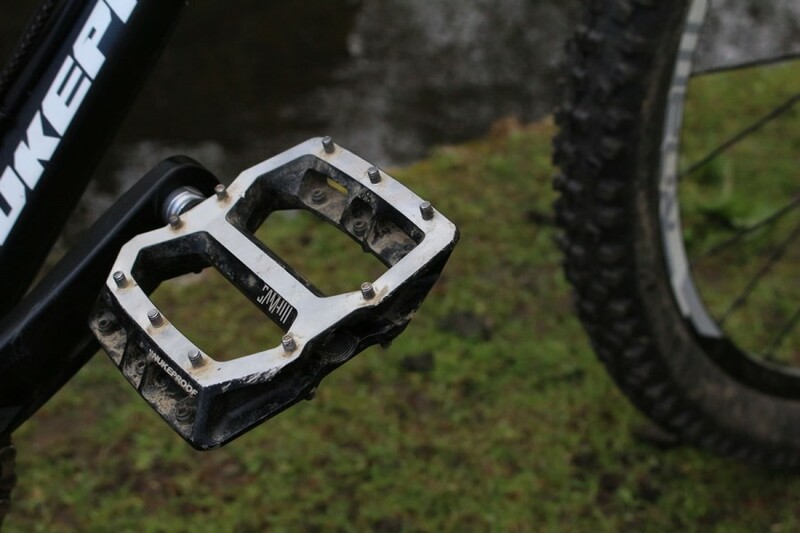 Sat at the top of a range of Horizon pedals from Nukeproof, these Sam Hill signature Horizon pedals are (in a manufacturing sense) identical to the Horizon Pro. The Sam Hill Series Horizon’s are available with a Cro-mo axle or Titanium, and on the scales, the Cro-mo-axled pedals (which I’ve been riding) come in at 430g for the pair whereas the Titanium-axled flavour is a decent saver at 362g for an extra £95. Finished in black with a polished face, with black pins and smart Sam Hill livery, there’s not much to dislike and being available with a Gold Titanium axle or a ‘Green’ (apparently – not that I can see) Cro-Mo axle gives them a bit of character. Colours chosen in honour of Australia, which of course Mr Hill represents. 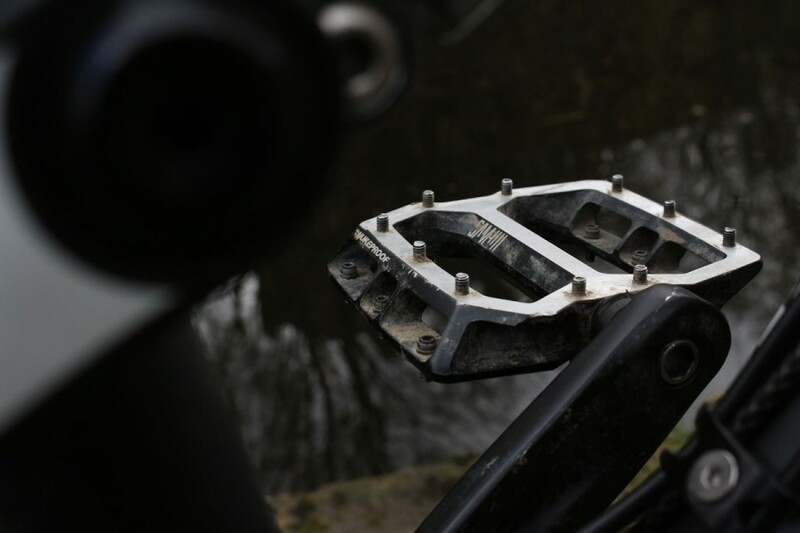 In the words of Nukeproof themselves, ‘we have created a flat pedal that incorporates a large platform, adjustable pins and angled faces to aid deflection from obstacles’, and from where I’m sitting (or riding) they’ve done a bloody good job. 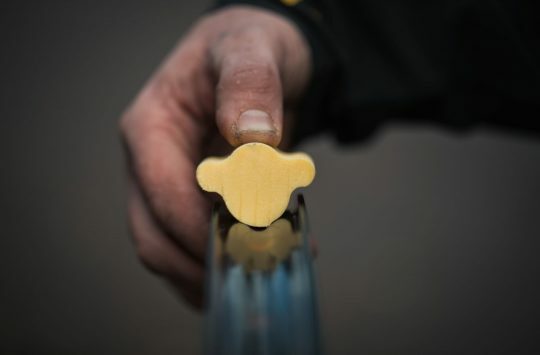 With 10 pins on each side and a near as dammit 95x95mm platform, the Horizons provide an unbelievable amount of contact, and grip at all times, even under pressure from rock strikes and rough riding. 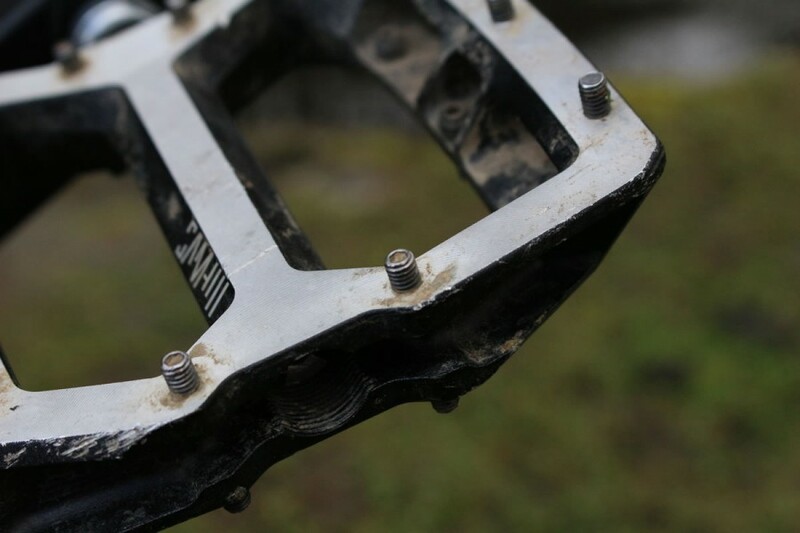 Pins on the inside and outside edges of the pedals require a 2mm allen bolt from the head of the pin, while the heel and toe pins are adjusted and removed from below using a 2.5mm. The latter-mentioned pins can also be adjusted in height, by adding or removing a small washer from between the bolt head and pedal body. This increases the concave of the pedal body, if you desire a flatter or deeper riding feel. Whichever position these are in, the flatness of the pedal is constantly clear, with no raises or lumps into the bottom of your feet. 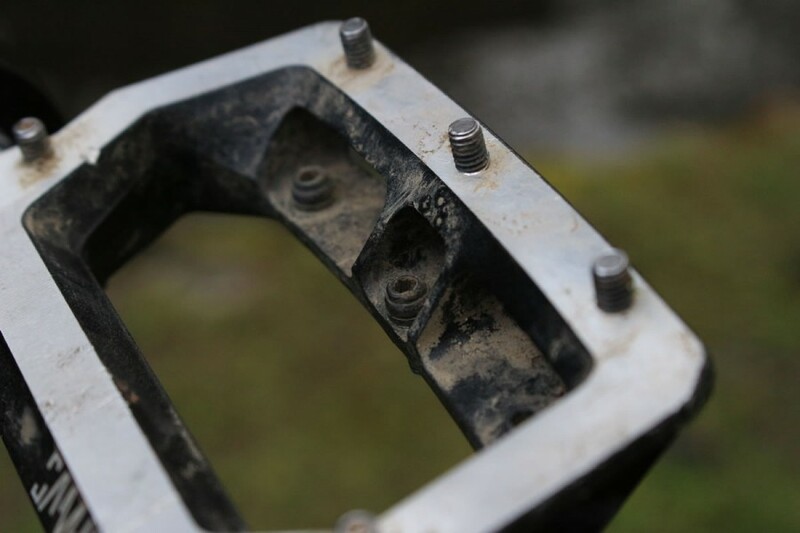 Using 2 x high quality DU bushings & 4 x sealed cartridge bearings (Per Pair), the pedals have a sturdy and quality feel when riding and a lack of unwanted spin when (heaven forbid) your feet do get thrown off, makes finding that comfortable position again, incredibly easy. All the little features these pedals provide, have given me such confidence, knowing that my feet will stay planted and secure when I need them to, yet if adjustments need to be made, there is the tolerance for slight twists and repositions. 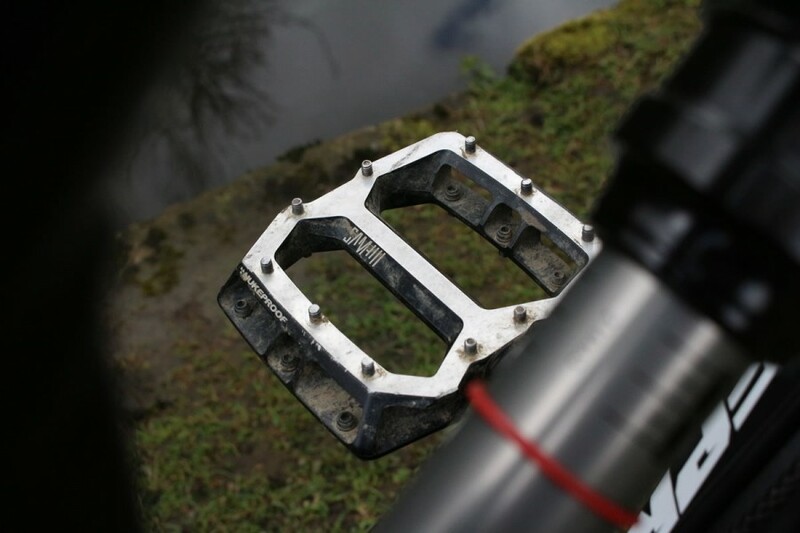 Of course, pedals will be better or worse depending on what footwear you are riding in, yet for the Horizons, it hasn’t mattered one bit, from riding in Five Tens on the trails, to Vans for little sessions at the park – the grip has been reliable and confidence boosting every time. 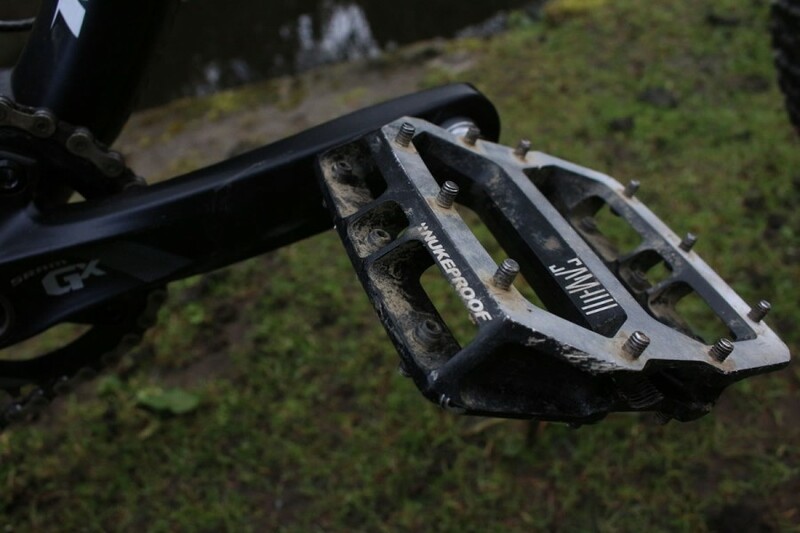 Overall: A sturdy, reliable and high quality pedal from Nukeproof, which competes very well with similar products on price, weight and performance. Thumbs up from me.